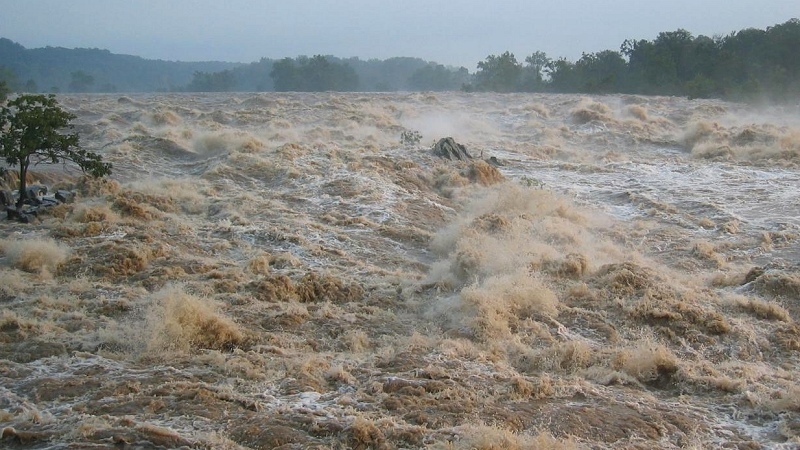 A study of rivers in the southeastern United States shows that as American cotton and tobacco farmers occupied once-forested lands, they wasted those fertile soils by causing them to wash away 100 times faster than the natural rate of erosion. The paper, published online yesterday by the journal Geology, describes a new method that lets us learn the rate of soil erosion in "the forest primeval," during the thousands of years before European farmers arrived. Having a single consistent laboratory test for this geological yardstick can help make agriculture sustainable. If a region's rate of natural erosion is known, farm agencies can teach farmers ways to tame erosion until it matches the primeval rate. That will almost automatically ensure that the area's soil remains permanently fertile. The study, by two geologists at the University of Vermont and a colleague at Lawrence Livermore Lab, looked at ten river watersheds in the Appalachian Mountains ranging from Virginia to Alabama. These went through a typical historical patternthe forest was cleared by loggers beginning in the 1700s and then the land was farmed for cotton and tobacco. Traditional farming practices, which included tilling the fields each year with animal-drawn plows, led to rapid erosion and wore out the soil within a few generations. This history is well known, but measuring that erosion isn't easy. Regulators often use a formula based on the volume of sediment carried by a river. That method assumes the river system is in a steady state, with eroding dirt in the headwater area balancing the sediment passing out the river's mouth. But careful surveys have shown that most of the eroded sediment from these old farmlands is still sitting upstream on the valley floors, where it has smothered existing bottomland soils, or trapped behind hundreds of old dams that once drove watermills. Another complication is that a large amount of sediment transportation, perhaps even most of it, happens in rare big floods rather than ordinary river flows. The researchers found a way around the problem of relying on sediment volumes. They zeroed in on the sand-size quartz grains in that river-mouth sediment and directly measured their exposure agesthe time the minerals had been within a few meters of the ground surfaceusing the beryllium-10 technique. (10Be forms from oxygen in the quartz by exposure to cosmic rays.) By treating the sand as a sample of the whole watershed, the scientists could estimate the average age of the soil when it originally washed out of the hillsides. From the average exposure age, they could then determine the primeval erosion rate. The beryllium-10 evidence told the authors that natural erosion in pre-colonial days was an almost imperceptible 8 millimeters per thousand years. During the several decades around 1900, at the climax of cotton/tobacco farming, erosion was 100 times faster at around 950 mm/ky. That is, two generations of farming caused thousands of years worth of erosion. The historian Will Durant was fond of telling audiences that "civilization exists by geological consent, subject to change without notice." He typically was referring to natural catastrophes, but his successors have shown that loss of good soil is another change, happening without anyone noticing, that seems to limit the life span of human civilizations. Starting in the late 1900s, agricultural practices have changed to reduce soil erosion. The best techniques can lower erosion to natural levels and even build up the soil, according to geologist David Montgomery, the author of Dirt: Erosion of Civilizations. "The good news is that there are examples of societies (which I talk about in the book) that did indeed build fertile soil far faster than nature," he said. "The bad news is that the types of agricultural practices that would lead to that result are presently called alternative agriculture," such as no-till practices and organic farming. Montgomery's open-access paper in GSA Today, "Is agriculture eroding civilization's foundation?" is essential reading on this topic.